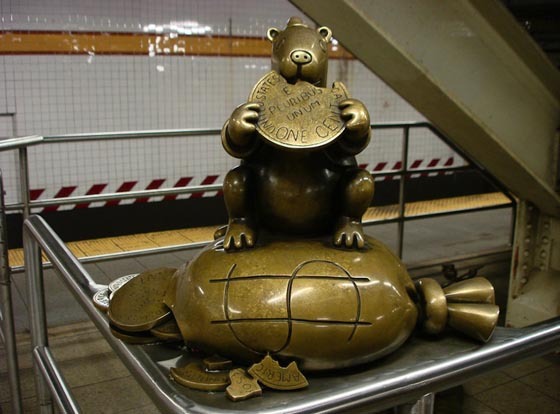 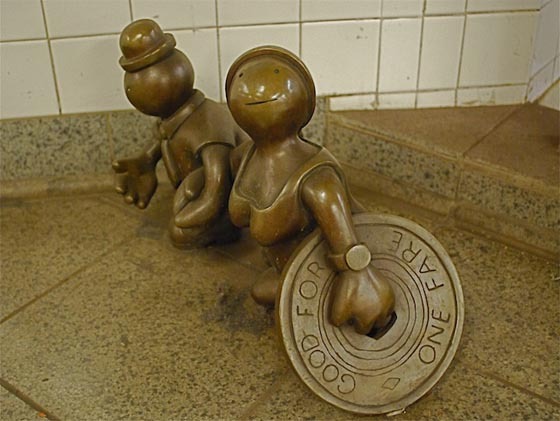 There are over 100 little cast-bronze sculptures located at the 14th Street and 8th Avenue station in NYC. 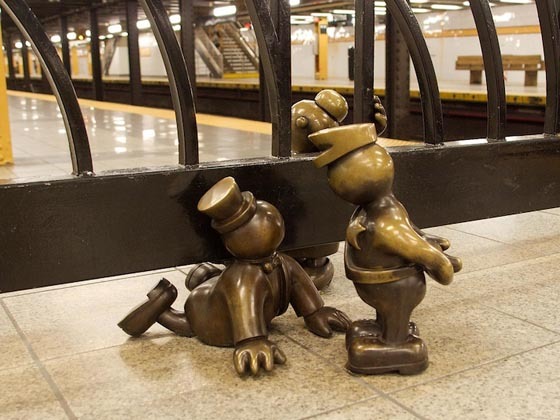 This project is called “Life Underground” and was started by artist Tom Otterness back in 2002. 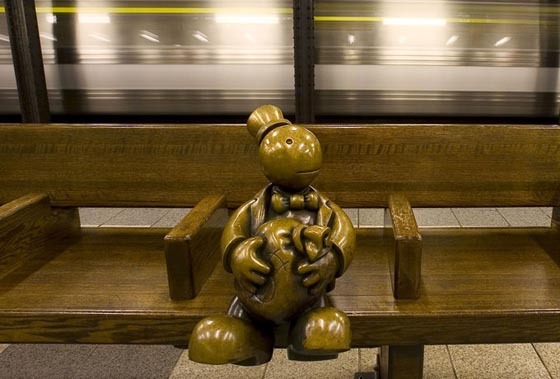 However, he probably could never have imagined how popular it would become. 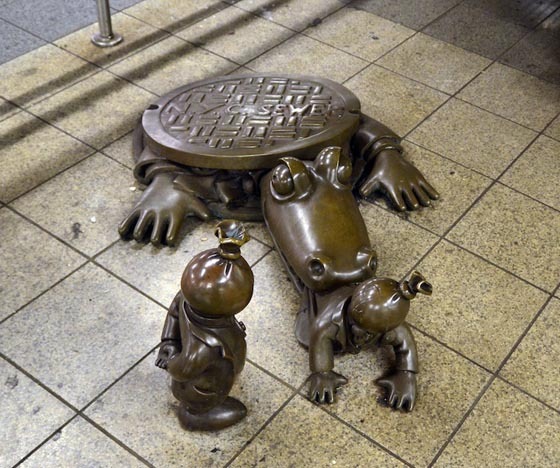 The whole installation project took 10 years to complete and the artist ended up making four times the amount of work he was originally commissioned to create. 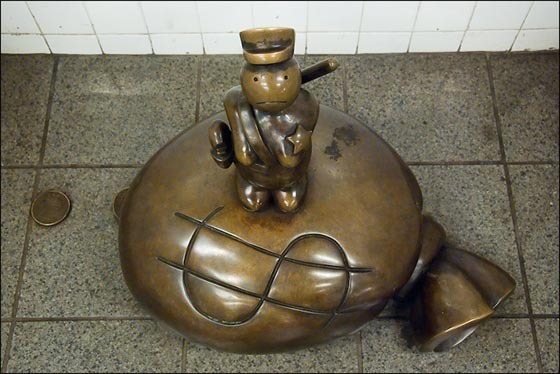 “Life Underground” is filled with five distinct character types – blue-collar workers, white-collar workers, radicals, rich people and cops. 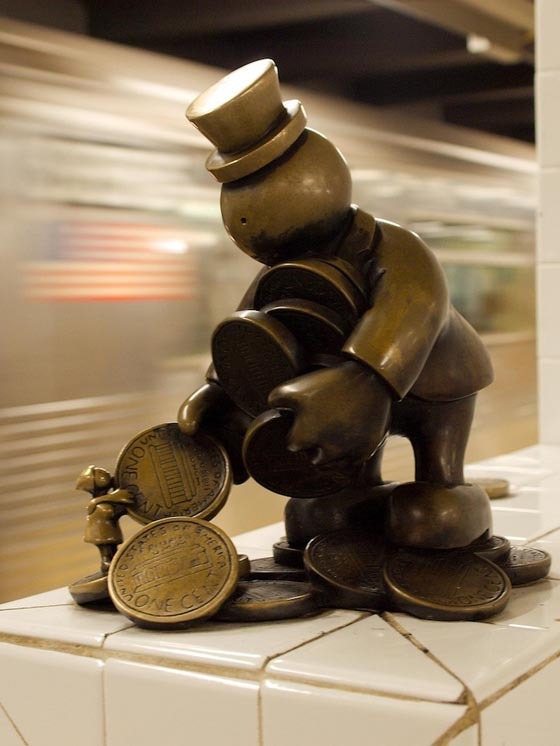 They might looks like comical characters, however, many many of them touch upon more deeper social issues such as class and money.